While an MBA is a Master’s in Business Administration degree, the CFA stands for Chartered Financial Analyst, which is a certification offered by the CFA Institute. 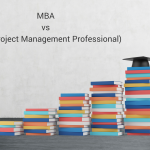 The MBA and CFA are two professional qualifications that offer a wide career scope. Both relate to managerial positions in the industry, but the approach taken during the study period is very different between the two. Finance is at the core of CFA certification, but is just part of the curriculum during the two year MBA program. 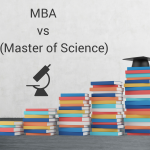 While the MBA is a degree course students take surrounded by their peers, spanning two years divided into 4 semesters, the CFA is an international certification that a student gets after passing exams every year over three years (assuming a candidate passes all three in their first attempts). It is a grueling individual journey, taking years to go through all three levels. An MBA course aims to make students capable of handling all aspects of business situations, and therefore the courses include human resources, marketing, accounting, operational management, and more.A CFA certification is more niche. A CFA trains the students to become financial experts with very strong analytical skills. The course covers financial topics such as derivatives, stocks, bonds, and investment management. A person who wants to take CFA exams must have at least four years’ work experience in a financial position in a company. Globally there are only 1,20,000 CFA members. The exams are difficult; sometimes each of the three levels of exams have less than a 50% pass rate. Once you are qualified as a CFA you can become a portfolio manager, financial advisor, or investment consultant/professional. 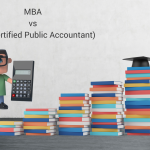 Taking the CFA is a much cheaper option than doing an MBA. Each test costs between $1,000 and $1,500 depending on how early you register (the earlier, the cheaper). This includes a prep book, but some choose to take a class as well, which costs extra. The CFA Institute recommends that you study for 300 hours before you take one of itsr tests. This is a big commitment, since CFA candidates don’t usually quit their jobs. 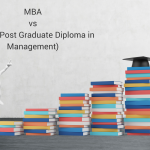 An MBA is much more expensive, unless your employer foots the bill. Harvard Business School estimates that the year 2014 will cost $87,200 for a single person, and $121,200 for someone with a family. Columbia estimated the class of 2013’s budget at $89,243. 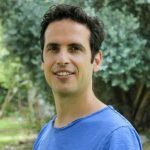 People who are only CFA charter holders tend to make $27,000 more than people who only have an MBA, and $13,000 more than people who only have an MBA in finance. Getting both gives you the highest pay. 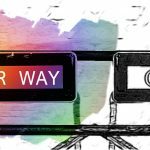 Ultimately, whether or not you decide to take an MBA or take the CFA depends on what you want to do. If you know you want to be an analyst, or work at a hedge fund, a CFA might be more suitable for you. 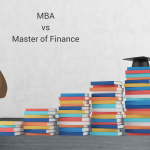 If you want to explore a wider range of fields in finance, an MBA may be the best option.